If you’re familiar with my blog then you’ll know that I’m a big fan of discovering new, healthy and ‘clean’ products. By this, I mean products that are as natural as they can be, with out any added ‘rubbish’ that we just don’t need! Whey or Plant based protein: Eating enough protein is essential to maintain a healthy body. Protein is the building blocks of life and helps to maintain healthy muscles, skin, hair, nails and immunity. Consuming protein with meals helps to lower the GI (glycemic index) of a meal, which means that you will be left feeling fuller and more energised for longer. 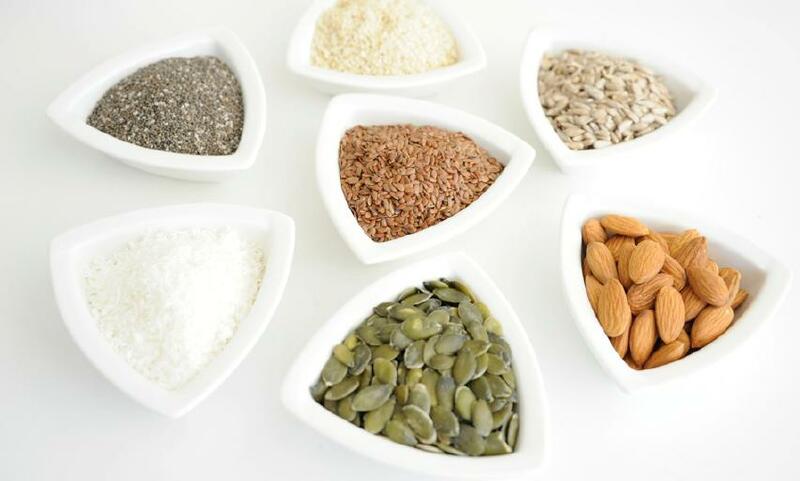 Fibre: Fibre helps us to feel fuller longer and promotes a healthy digestive system as well as a healthy heart (soluble fibre helps to lower the bad cholesterol in our blood). Heart Healthy Fats: Essential fatty acids, including omega 3, which assist with brain function and contribute to healthy skin, hair and nails. The Purition blends are also a great source of vitamins and minerals and can help those of us with busy lives to achieve a) the right macro and micro-nutrient balance to promote health and b) regular meals! Purition pride themselves in their short and clean ingredients lists, with no added sugars or artificial sweeteners, colours, flavourings or bulking agents, and have produced one of the most bioactive and bioavailable protein supplements on the market. Almonds: Almonds have the highest fibre content of any nut and are highly anti-inflammatory. They contain many protective nutrients including calcium & magnesium, for strong bones and vitamin E (antioxidant), beneficial for maintaining healthy hair, skin and nails. Almonds also provide essential healthy fats and protein. Flaxseed/Golden Linseed: Flaxseeds are a great source of fibre, lignans, protein, omega 3, vitamins and the minerals. The soluble fibre in flax helps move food through the digestive tract and aids in the regulation of blood glucose by slowing the release of sugar from foods. Soluble fibre also helps to lower cholesterol, especially LDL cholesterol (bad cholesterol). Chia seeds: At 20% protein, chia seeds exceed that of all other grains and seeds. They are a rich source of both soluble and insoluble fibre and a natural source of antioxidants. Gram for gram chia seeds have 8 x more Omega 3 than salmon, 4 x the antioxidants of blueberries, 5 x more calcium than milk, 7 x more vitamin C than oranges, 3 x more iron than spinach and 2 x the potassium content of a banana *wow*. Coconut Flour: Coconut Flour contains more fibre than wheat bran and provides a good source of gluten free protein. Pumpkin Seeds: Pumpkin seeds contain an abundance of nutrients and protein. They are high in most of the B vitamins, and vitamins C, D, E, and K. They are also rich in beta-carotene that can be converted into vitamin A in the body (essential for healthy eyes!). Sesame Seeds: Sesame Seeds are packed full of antioxidants and contain high levels of health benefiting antioxidants. The seeds are especially rich in monounsaturated oleic acid (Omega 9). Oleic acid helps to lower LDL or “bad cholesterol” and increase HDL or “good cholesterol” in the blood. Sunflower Kernals: Sunflower seeds are an excellent source of vitamin E, the body’s primary fat-soluble antioxidant and are particularly rich in magnesium. It’s a well-known fact that calcium is necessary for strong bones, but magnesium is too. Psyllium Husk: Psyllium Seeds re a great source of soluble fibre and their husks have long been enlisted for great digestive function, which aids regular bowel movement. Apple Pectin: Used to thicken jams naturally, apple pectin is a soluble fibre which lowers cholesterol by reducing the amount of it that is absorbed in the gut. Inactive Brewers Yeast: A fantastic source for B complex vitamins. Stevia: A natural sweetener derived from the sweet leaf plant (Stevia rebaudiana). Its leaves are 300 x sweeter than sugar so they only have to use the tiniest amount to delicately sweeten the products. Stevia has negligible effect on blood sugar and zero calories. Cocoa: Cocoa has a high concentration of antioxidants that help cells repair themselves and stay healthy. Cacao contains many nutrients such as magnesium, iron, zinc, copper and vitamin C.
Coconut: Certified organic coconut flesh has a delicious sweet taste and it’s high in protein, gluten free as well as a good source of fibre. Pistachio: Pistachios have the highest level of phytosterols in any nut. They’re also an excellent source of vitamin B6 and contain thiamin, folate, biotin and riboflavin, niacin, and pantothenic acid are a good source of fibre and protein with an excellent amino acid profile. Almond: Almonds have the highest fibre content of any nut and are highly anti-inflammatory. They also taste pretty delicious too! Macadamia and Vanilla: Includes 10% macadamia as well as vanilla pods to create a delicious shake that tastes great at any time of day! Vegan Hemp: This dairy free, raw vegan protein powder is made from hemp protein concentrate & tastes delicious with almond milk & 1/2 a frozen banana! Strawberry - Includes our own pea, rice and hemp protein blend. Vanilla - Includes our own pea, rice and hemp protein blend. Blackcurrant - Includes our own pea, rice and hemp protein blend. Original Purition blends are absolutely delicious and go great with 200-250ml of skimmed milk (I love the pistachio & coconut flavours the best!). I personally like to add 1/2 a frozen banana to my shakes (peel before freezing!) which makes them much thicker and creamier (like a dessert!). 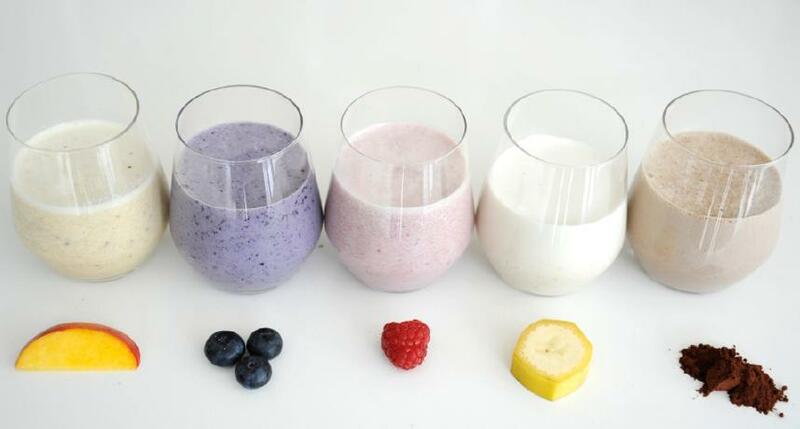 The shakes are perfect for; busy people who just want to grab a healthy breakfast and go; those who are working out and struggle to meet their protein needs through food alone (up to 1.2 – 1.7 g per kg of body weight per day) or; those who just want to up their dietary intake of healthy fats and fibre. I also found that the shakes were a great mid-meal snack that helped me to stop munching on things that I shouldn’t be! Regarding weight loss, we know from research that successful slimmers eat breakfast, meaning that a shake can be the perfect option for someone who usually skips breakfast and wants to lose weight. Purition combines convenience and real food in one, with the shakes simply compressing a lot of nutrients into a small space! *Meal replacement products can also play a successful role in weight loss (when replacing 1 or 2 meals a day, with an additional healthy balanced meal), which could be an effective option for some people. The Purition products have an advantage over other products due to their 100% natural and healthy ingredients list with no added sugar. You can buy the Purition products from Purition.co.uk and they have a great deal where you can buy 3 x 500g bags for just £49.95 with free delivery (usually £22.95 each). 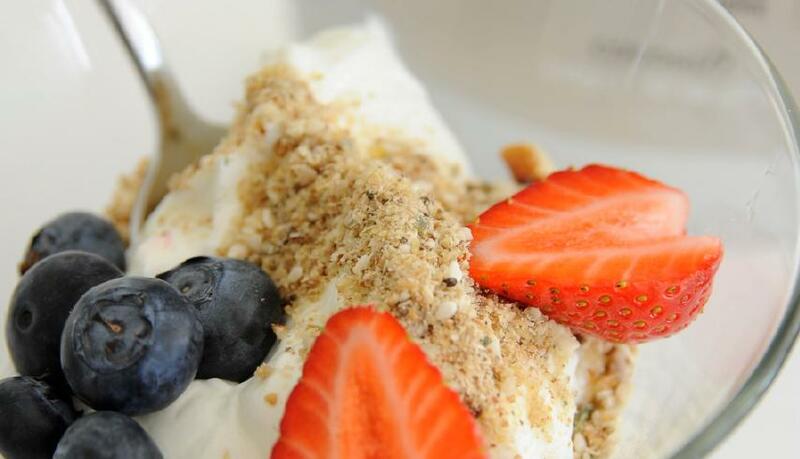 Review written by: Nichola Ludlam-Raine founder of Nic's Nutrition, August 2013. NB ** Some product names, images and ranges have recently been updated (by Team Purition) within this post to bring it inline with the current products and Dairy Free Vegan blends which were added in 2017.